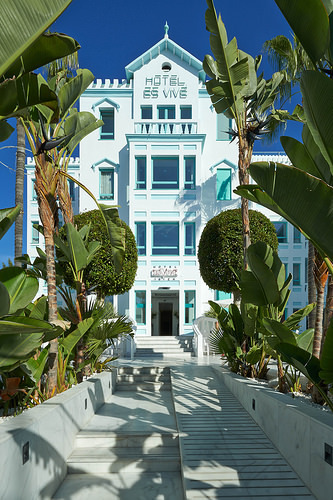 Es Vive is a stunning, “miami-esque”, 1920’s deco style hotel with design by Sean Cochrane. 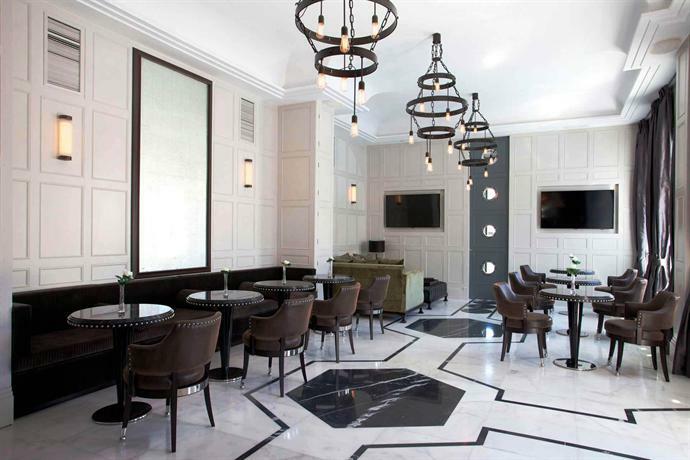 The interiors provide a salivatingly luxe feast of white, mint and marble. Es Vive achieves what other hotels often seem to fall flat on; which is a luxury feeling that maintains a strong opinion. There is a definite personality and details are NOT lost into a general schmooze of gold and velvet tones like many other “glamorous”, hotels. 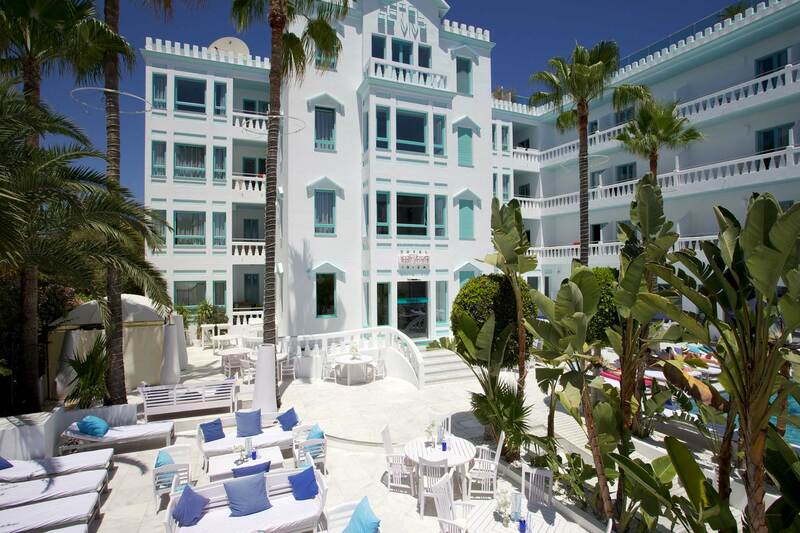 On top of this it is just moments from the beach and ever lapping sea. Last night I visited friends on the roof terrace for a brief meeting before a night on the town. We were graced by a smiling girl dressed all in white to match the terrace itself. The setting was dream like and the falling tones of the sunset finished me off visually. It is hard to fight the overwhelming amounts of zen in this place. The next day I fancied brunch. In Ibiza, it seems good food has to be sought out. So many times it has been my experience that in general, food quality has been poor, options limited and staff inattentive and having sat down in a cafe on the beach and been totally ignored yet again, I decided to head back to, “Es Vive”, in search of an emotional hit. The dining room butches things up with deep greys and brown studded leather. The chandeliers are far from classic and look like old-skool torture devices; contrasting excitingly with the toothpaste tones of the rest of the hotel. I did not have to wait long and my food was delivered without fuss. I tucked into the healthy brunch and enjoyed it thoroughly. The whites were fluffy and the tomatoes juicy and clean with the overall presentation keeping it simple. This may have not been the best omelette of my life, but it definitely did what it was supposed to do in a totally stress-free way. Furthermore, the prices are really no more than any of the tacky tourist cafés and the surrounding environment coupled with a friendly and awake service have turned my last morning in Ibiza around. The Strawberry and Granola shake however, IS the best Strawberry and Granola shake I’ve ever had. YOU MUST TRY THIS! Finished with Es Vive branding on the straws and a baby strawberry fro garnish this really is a decadent health treat! Having felt frustrated and angry at the previous café and food standards in general on the island; I am now feeling well looked after and properly fed. I would be more than happy to spend large amounts of time relaxing and working in this space and will be sure to visit next time I visit in August. 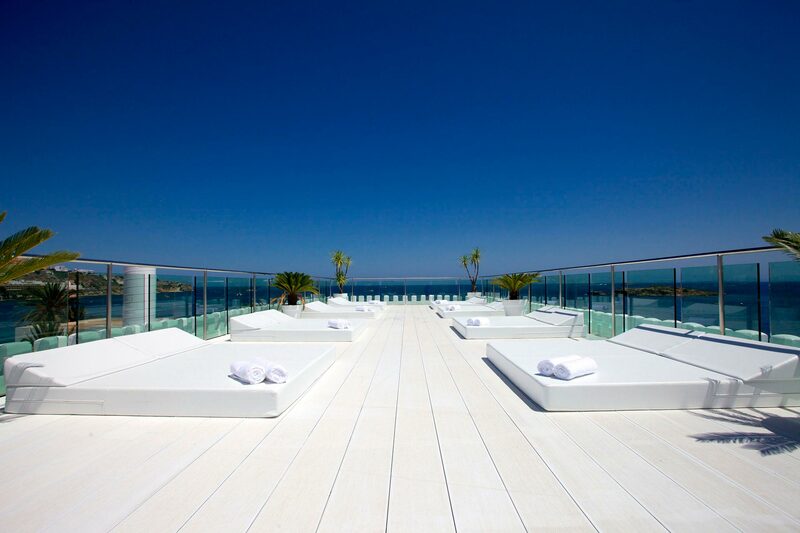 Thank you for “Es Vive” for putting the smile back on my face and fulfilling my Ibizan visual fantasies.